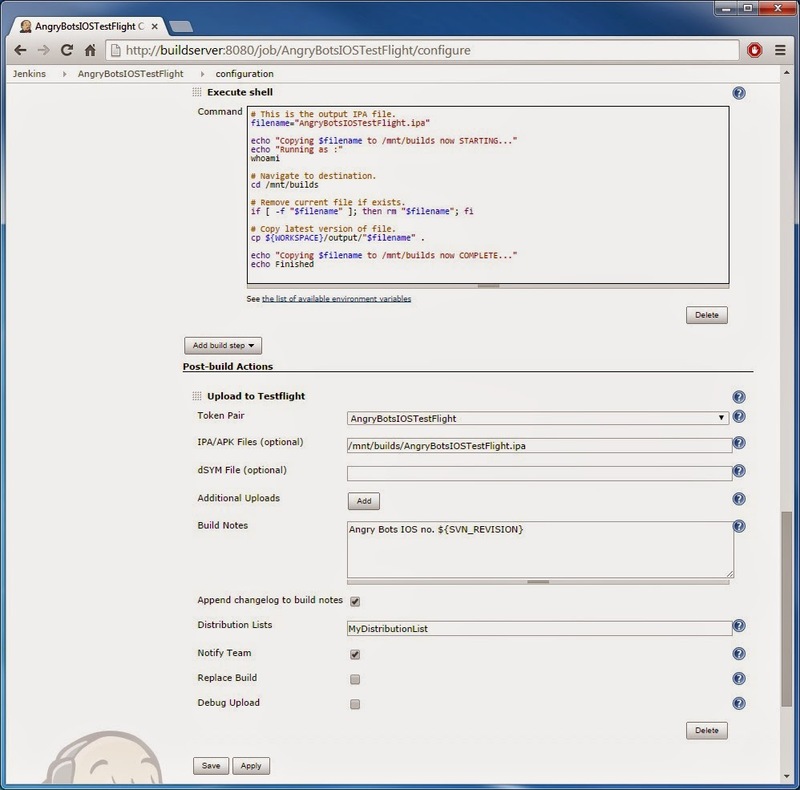 In the previous post, we automated the build process for Unity3D game development using Jenkins. 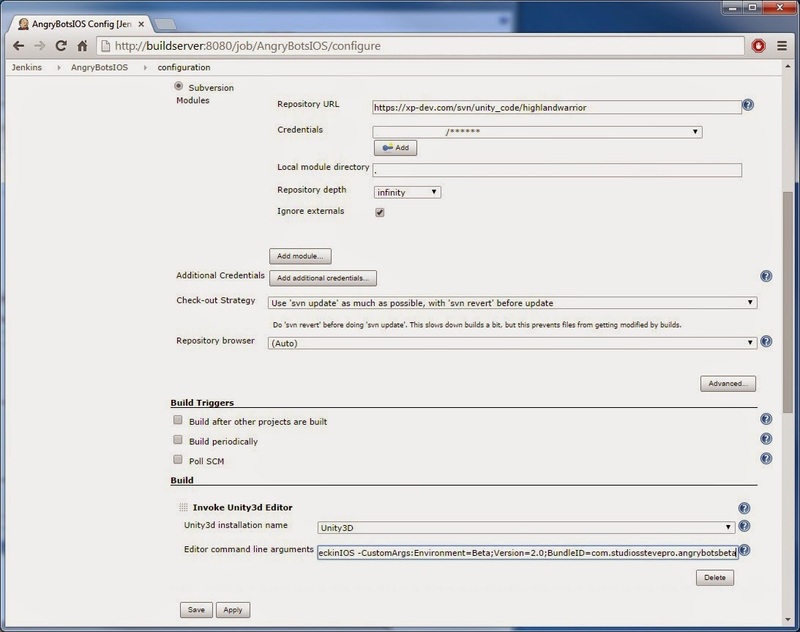 Here we built and packaged game code to streamline the deployment process to multiple devices. While this approach works well, it is somewhat inflexible: whatever source code that is checked-in, it is built verbatim. 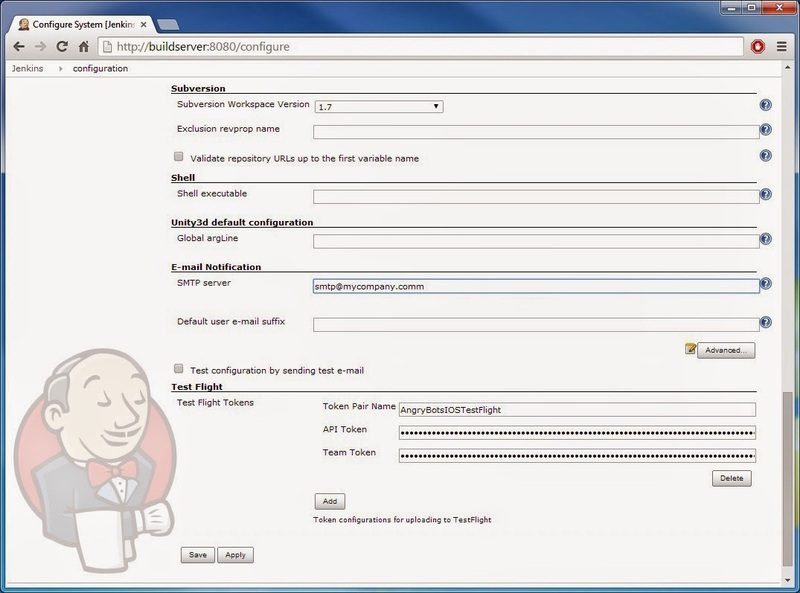 That is, it is not possible to configure Jenkins build jobs to target different environments. Also, during development, we may like to produce Test builds internally plus build and distribute Beta builds externally using TestFlight. All of which can be done by extending the Automated Build process. 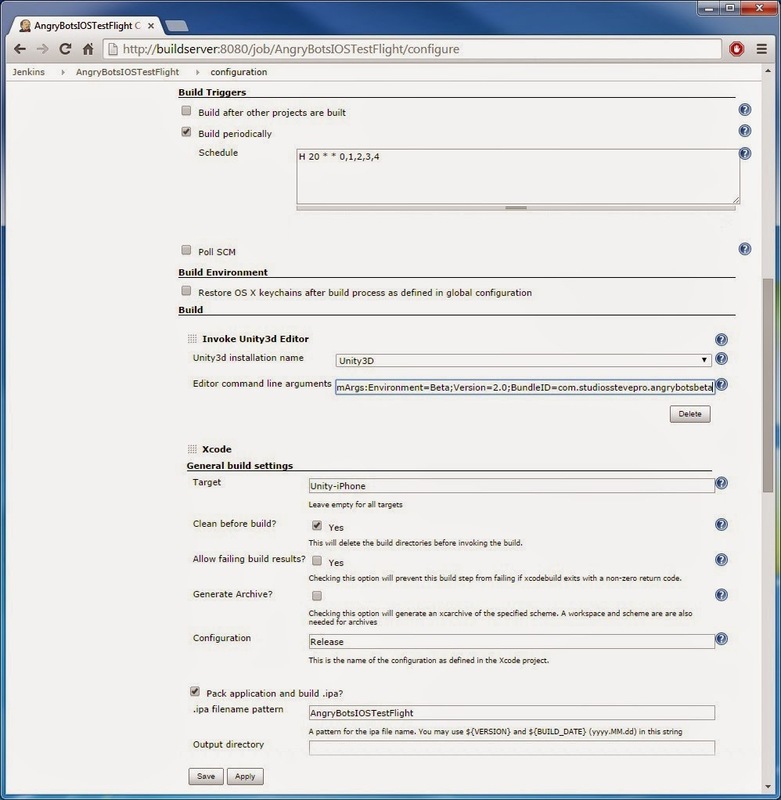 Ensure you have all the pre-requisites installed and setup for Jenkins automation as per previous post. TEST Used for internal development and testing. BETA Used for external development and testing. PROD Used for the Live Production environment. The existing Angry Bots build job executes PerformBuild CommandLineBuildOnCheckinIOS method as it is. Now we would like to configure the execute method to accept arguments to target different environments. Unfortunately, Jenkins does not allow arguments to be passed to the execute method; we must build this infrastructure ourselves. Here is a great code sample that demonstrates how to implement this manually. Target build environment (Test / Beta / Prod), Build version number and finally the Bundle Identifier. Note: it may be necessary to override the Bundle ID to distinguish Beta and Prod side-by-side builds. // similar code as previous post. // Must do this was as Enum.TryParse not available in .NET 2.0. Change Optimization Api Compatibility Level from .NET 2.0 Subset to .NET 2.0. Make one small change to the existing AngryBotsIOS build job: pass arguments to the executeMethod. Click Save button | Click Build Now. 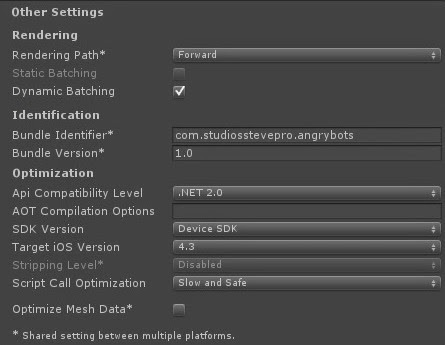 Deploy Angry Bots to iOS device as per previous instructions. Congratulations! Angry Bots should be installed as before but now target Beta build environment. TestFlight Beta Testing makes it easy to invite users to test pre-release versions of iOS apps before they are released to the App Store. Up to 1,000 beta testers can be invited using just their email addresses. 1. Create an account on TestFlight with "Developer" option checked. 2. 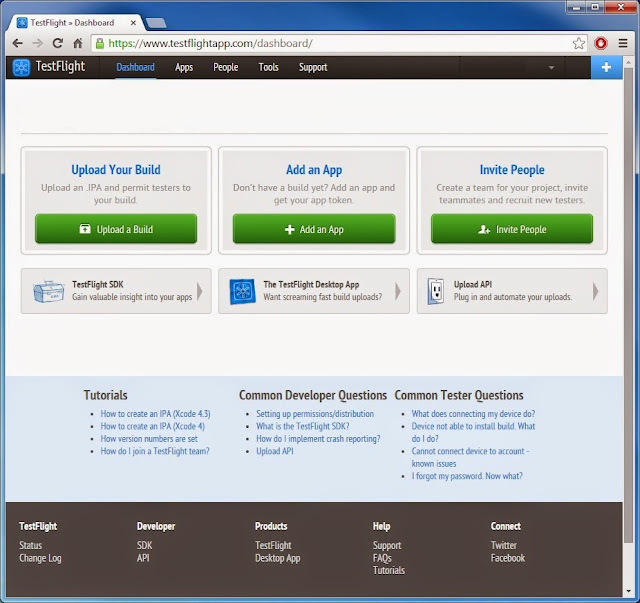 Log in to the TestFlight web site and "Add a team" for your app. 3. Add teammates, either testers or developers or available public. 4. Ask teammates to register iOS devices following the instructions. 5. Once accepted / registered, device information will be available. 6. 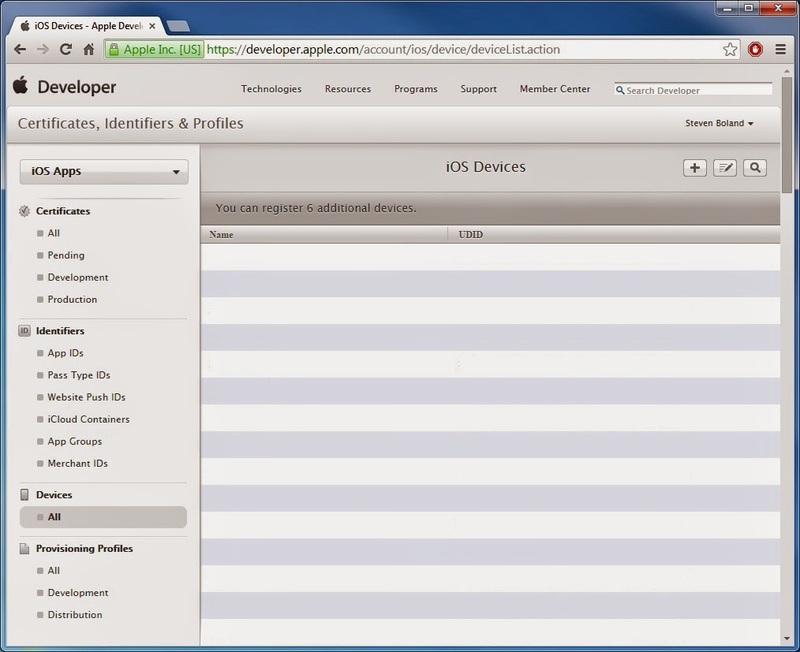 Add devices / UDIDs to Devices section of Apple web site portal. 7. 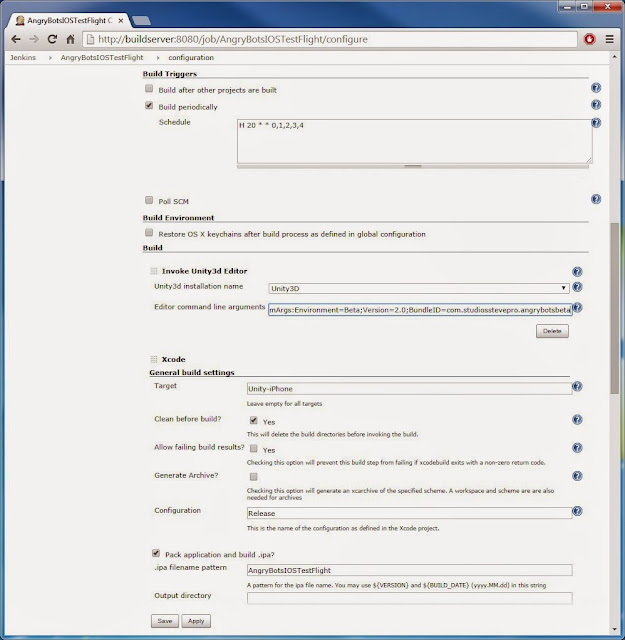 Update provisioning profile and install onto Jenkins build server. Extend the Automated Build process to upload latest revision to TestFlight via Upload API. API Token gives access to Upload API and any endpoints for future TestFlight releases. In TestFlight, click User icon (top right) | Account Settings | Upload API | API Token. Team Token is the token used for the Upload API "Team" parameter (in Jenkins). In TestFlight, click Team name (top right) | Edit Info | Team Info | Team Token. In TestFlight, click People tab | click "+" icon next to "Distribution Lists" to add. Add same device information to the Apple portal and include in Distribution provisioning profile. Navigate to Apple portal | iOS Apps | Log In | Certificates, Identifiers & Profiles | Devices. Click the "+" icon (top right) to Register new device(s): Enter a valid name and the UDID. 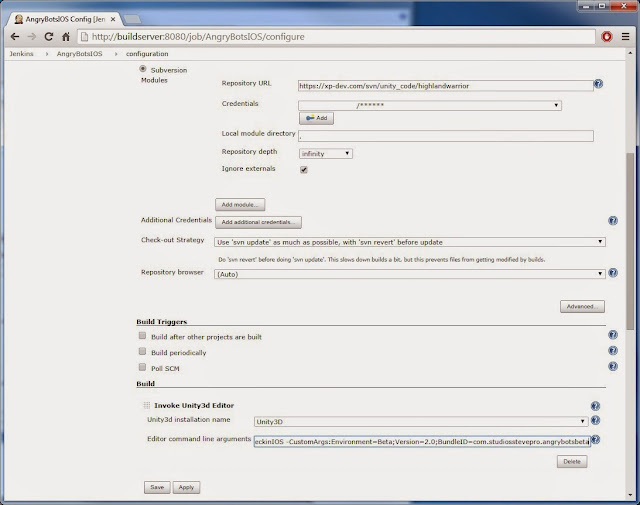 Provisioning Profiles | Distribution | Click profile | Edit | Select All devices | Click Generate. Therefore provisioning profiles must be copied back to /System/Library/MobileDevice folder as before. However, when you attempt to copy them back you may receive the "Operation not permitted" error. Finally, update Jenkins automation: install the TestFlight plugin and add new nightly build job. Main dashboard | Click Manage Jenkins | Click Manage Plugins | Click "Available" tab. Main dashboard | Click New Item | Enter Item name: AngryBotsIOSTestFlight. For example, build every night at 8pm Sunday-Thursday, ready for next working day. # This is the output IPA file. echo "Copying $filename to /mnt/builds now STARTING..."
# Remove current file if exists. # Copy latest version of file. echo "Copying $filename to /mnt/builds now COMPLETE..."
Click Save button. Build job will now upload latest revision to TestFlight automatically! Note: Beta testers will receive notification once latest revision available for download. In conclusion, open source continuous integration tools like Jenkins make it easy to successfully build Test / Beta / Prod ready binaries. 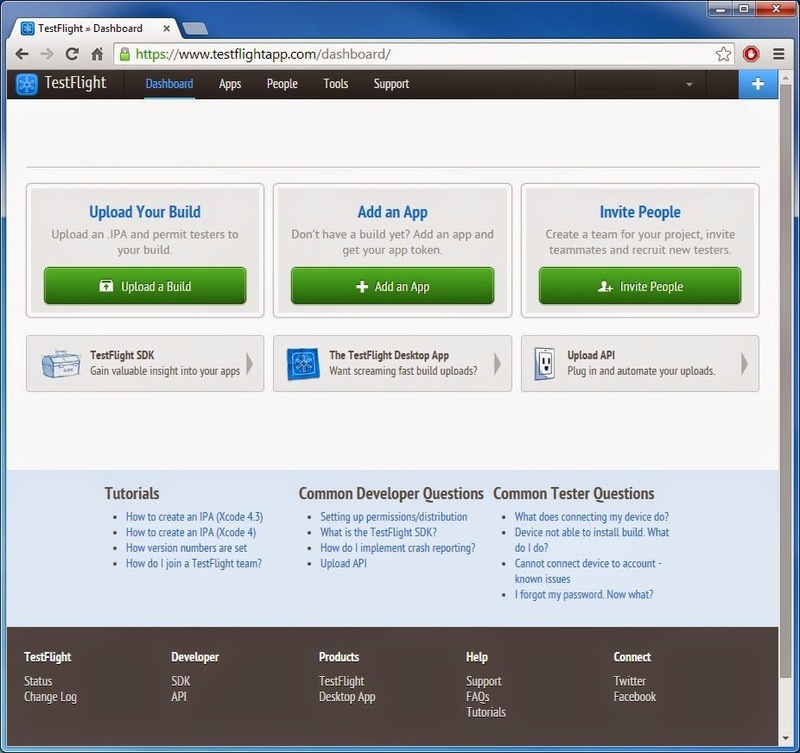 Additional tools like TestFlight make them even easier to distribute!